The 2019 Formula 1 season starts with the Australian Grand Prix at Albert Park, Melbourne this weekend (March 15-17 2019). The Scuderia Toro Rosso team starts the season with a brand new driver lineup. Daniil Kvyat returns for his third stint with the Faenza-based team. The Russian is joined by rookie driver Alexander Albon. Toro Rosso in recent years has seen many changes to its driver lineup. In 2016, Kvyat was demoted from the senior Red Bull Racing team and Max Verstappen was promoted in his place. In 2017, the team had four drivers (Kvyat, Carlos Sainz, Pierre Gasly, Brendon Hartley) driving at various times. The 2018 drivers, Gasly and Hartley, are no longer with the team. Kvyat is a known quantity. Albon is more of an unknown quantity. Like so many new driver pairings in 2019, the battle between Kvyat and Albon is unpredictable and will be fascinating to watch. Daniil Kvyat was part of the Red Bull junior programme and had a distinguished career in the junior motorsport series. The Russian won the GP3 championship in 2013. He performed testing duties for the Toro Rosso team that year. Kvyat drove his first full season in Formula 1 for Toro Rosso in 2014. Jean-Éric Vergne was his team-mate in his debut season. Kvyat was outscored by Vergne (8 points to 22 points), but was impressive in qualification as he outqualified the Frenchman. In 2015, the departure of four-time world champion Sebastian Vettel to Ferrari earned Kvyat a promotion to the senior Red Bull team. The 20-year old Russian had big shoes to fill at Red Bull. Kvyat also had the formidable Daniel Ricciardo as his team-mate. In 2015, Kvyat outscored Ricciardo by 95 points to 92 points in a winless season for Red Bull. Kvyat scored his first podium at the Hungarian GP. In 2016, Kvyat was on a downward slide and was demoted to Toro Rosso after four races. The Russian was involved in on-track clashes with the Ferrari driver Vettel. Max Verstappen was also waiting in the wings and was seen by the Red Bull management as a future world drivers’ champion. Though Kvyat secured the second podium of his career at the third race of the season at the Chinese GP, he was demoted to Toro Rosso. It was a direct swap between Kvyat and Verstappen. After the mid-season demotion, Kvyat lost all confidence. In the next 17 races, Kvyat scored just four points. His team-mate Carlos Sainz scored 42 points in those races. Kvyat’s drive at Toro Rosso was in jeopardy. But he was given a second-chance and was re-signed for 2017. Kvyat lasted only 14 races that season. The Russian scored just four points compared to Sainz’s 48 points in those races. He was brought back at the United States GP to replace Pierre Gasly for one race. Kvyat finished in tenth position and scored one point. In 2018, Kvyat performed the role of simulator driver for Ferrari. This kept the Russian in the Formula 1 paddock. 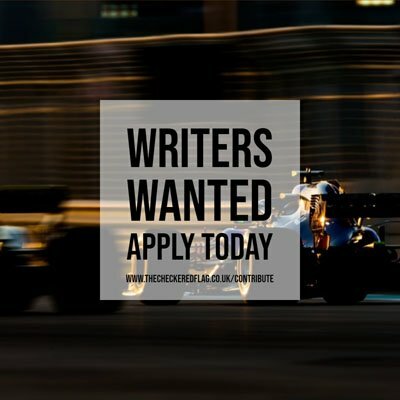 Opportunity came knocking when Toro Rosso was in need of drivers for the 2019 season. Gasly was promoted to take Ricciardo’s place at Red Bull. Brendon Hartley had struggled during the previous season and was not re-signed. Toro Rosso needed two new drivers and there were no readymade choices in the Red Bull driver programme. Surprisingly, Kvyat was given another chance by Toro Rosso and signed for the 2019 season. Alexander Albon was born in London and races under the flag of Thailand. He is also getting a second-chance with the Red Bull junior team as he was dropped from the Red Bull Young Drivers Programme at the end of 2017. Albon finished runner-up to current Ferrari driver Charles Leclerc in the GP3 Series in 2016. He finished third in the FIA Formula 2 championship in 2018. Albon finished just behind fellow Formula 1 debutants of 2019, George Russell and Lando Norris. Albon performed well in the lower formulae. But he is a total unknown quantity in Formula 1. After an early crash in winter testing, Albon performed well. The Toro Rosso team will have a much closer technical collaboration with Red Bull Technology this season. The Honda-powered Toro Rosso STR14 challenger will have many parts from last season’s RB14. Kvyat has got more chances than any Formula 1 driver in recent memory to redeem himself. The Russian has shown that he has the raw speed and talent to do well. If he can get the mental part right, he can finally perform to the potential he has shown in his early career. Both drivers need to perform well or they will be discarded ruthlessly by the Red Bull management. In a good Toro Rosso car that would be in the thick of the midfield battle, the Kvyat and Albon team-mate battle is unpredictable. Both drivers need to win this battle to cement their drive with the team.